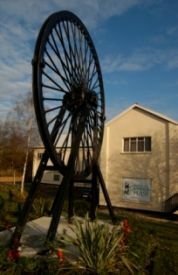 The Museum of Cannock Chase tells the story of the local area and also displays and promotes work from local and national artists. As well as our permanent displays, the Museum of Cannock Chase have a lively temporary exhibition programme of art, photography and history exhibitions. Artists and art groups are invited to submit an application for a temporary exhibition at the museum. Local themes and subjects, and works from local artists would be particularly well received. Artists can also hire the Coffee Shop exhibition space to display their work. Contact the museum Bookings Officer for an application form. The museum also holds varied art and craft workshops throughout the year for children and families. Join our mailing list to keep in touch with what's going on. Individual, locally made gifts are available from the museum gift shop. To find out about stocking items in our shop, please contact the Visitor Services Officer.